Former Scotland goalkeeper Alan Rough says he would double Alfredo Morelos' two-game suspension as Rangers are wasting time by appealing his red card. 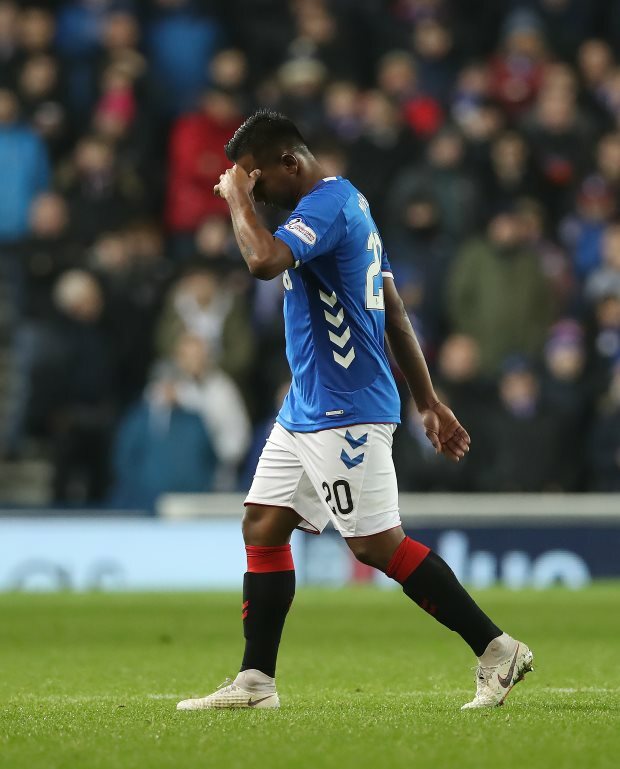 Morelos received his fourth red card of the season on Wednesday night when he was given his marching orders in the Gers' 4-2 win away at Aberdeen. The striker was involved in a tussle with Aberdeen defender Scott McKenna and Rangers have decided to appeal the sending off. Rough is annoyed about teams appealing what he sees as clear cut decisions and believes that appeals which fail should see the original suspension doubled. And the former Scotland star feels there is little evidence Morelos should not have been sent off. "Yes I am [surprised Rangers have appealed]", Rough said on PLZ Soccer. "Clubs who appeal things, if they get off, fair enough [but] if they don't get off I would double the suspension because they are wasting peoples' time. "Unless it's something the referee has made a mistake and not seen something then fair enough. "But this [with Morelos] as everyone can see is a red card. "So if you appeal that I'd give you another two games for wasting peoples' time", the former goalkeeper added. Morelos struck twice at Pittodrie in an important win for Steven Gerrard's men. It remains to be seen what the outcome of the appeal will be, but Rangers will know quickly as it is set to be heard on Friday at 6pm.